In the Spokane Daily Chronicle of January 17th, there appeared a condensed report of a sermon by the Reverend F. E. Beattey of the Lidgerwood Presbyterian Church. The article is headlined “Healing by Faith Can’t Be Expected.” The article presents so much absurdity that it is difficult to imagine that it was actually delivered to an intelligent congregation. The reverend gentleman stated that Jesus said to His disciples, “As my Father hath sent me, even so send I you” (John 20:21). The people with one accord gave heed unto those things which Philip spake, hearing and seeing the miracles which he did. For unclean spirits, crying with loud voice, came out of many that were possessed with them: and many taken with palsies, and that were lame, were healed. These healings took place, not at the hands of the original twelve, to whom the power had first been given, but now at the hands of a new disciple, Philip. The reverend gentleman says further, “I believe in the power of prayer, and I believe that some have been healed through prayer. Paul, the greatest apostle of the early church, besought God for help because of an infirmity, but he was not healed or given relief.” We would like to inquire what this statement is based upon. If we can read the Scriptures correctly, certainly Paul was healed. He had prayed three times. He was not healed the first time, not the second time, but he prayed the third time and declares that the Lord said to him, “My grace is sufficient for thee” (2 Corinthians 12:9). Surely the grace of God is sufficient for every man. It was sufficient for Paul’s need, too. The assertion that he was not healed is one of the centuries-old theological jokes. Does our reverend friend expect a 1916 audience to believe that Paul was not healed when he prayed? The assertion that he was not healed himself is almost as stale an argument as the reference to Luke as “the beloved physician” (Colossians 4:14). Jesus was a beloved physician too. So were the apostles. So is any man who brings healing to the sick. 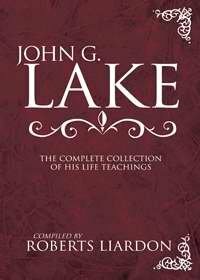 There is not the least evidence in the Scriptures that Luke ever owned a medicine kit in his life; and if he did, he most certainly left it behind him when he accepted the ministry and power of the Lord Jesus Christ. Our land is filled with men who have been physicians and who have abandoned the practice for the better way and method of the Lord Jesus Christ: Dr. Finnis B. Yoakum, of Los Angeles, California, one of the leading physicians of his city, abandoned the practice of medicine and adopted the ministry of healing through the player of faith and the laying on of hands, as the superior method; Dr. W. D. Gentry, of Chicago, a writer on diagnosis, whose twenty-volume treatise on the subject is found in every first-class library, abandoned his practice of medicine and for years has ministered in the name of Jesus, through the prayer of faith and laying on of hands as Jesus commanded; likewise Dr. A. B. Simpson of New York, a leading osteopath, abandoned his practice of medicine; and many others. Each one of these “beloved physicians” no longer gives pills. They have graduated into the higher way. What a strange thing it is when Christian ministers are found endeavoring to dodge the real issue of healing instead of building up faith in God. In many cases, they are among the first to endeavor to break it down and try to explain away by some cunning method the real plain facts of the Scriptures. How much more honorable it would be if ministers would acknowledge, as they should, that Christ has not changed, that faith is the same quality as it ever was, but that they do not possess it and so are not able to secure answers to prayer for the sick. Reverend Andrew Murray, the head of the Dutch Reformed Church of South Africa, whose books are throughout all Christendom and who is generally recognized as one of the saints of this age, was dying of an incurable throat disease. The physicians of Africa gave him no hope. He came to London, England, but received no hope from the medical men there. He went to Bagster’s Bethshan Divine Healing Home and was perfectly healed. 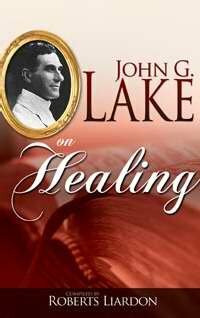 He returned to South Africa and wrote a book on the subject of healing, and it was placed on sale by the church. After a little while, the ministers of the Dutch Reformed Church discussed it in conferences. They said, “If we leave this book in circulation, the people will read it. Then the next thing we know, they will ask us to pray the prayer of faith that saves the sick, and we have not the faith to do it, and our jobs will be in danger.” So it was decided to withdraw the book from circulation. Why not give the people the light of the Scriptures? Let them know that Jesus is the Healer still and that He empowers men today through the Holy Spirit to heal the sick, just as He ever did. That the Spirit of God is not obtained through the church, but that it comes upon the soul of man, straight from God Himself, when his necessary hundredfold consecration is made.